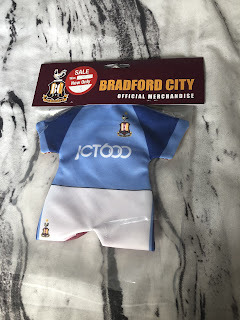 I only went into the City shop intending to pick up a kit for the nephew (which I did, I just forgot to get a pic before giving him it) but came out with this mini kit to hang in my car. I already have a City sticker & air freshener so why not at this to it for just £3. I have gone a bit City mad. 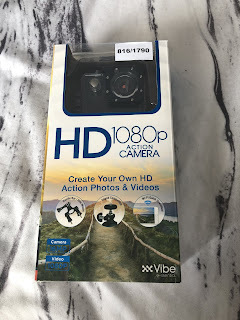 This action camera is possibly my favourite purchase as it is actually for the blog. When I do any sneaker or football boot reviews this will be used to show off the shoe. I will also be using it for possible training videos over on my instagram. 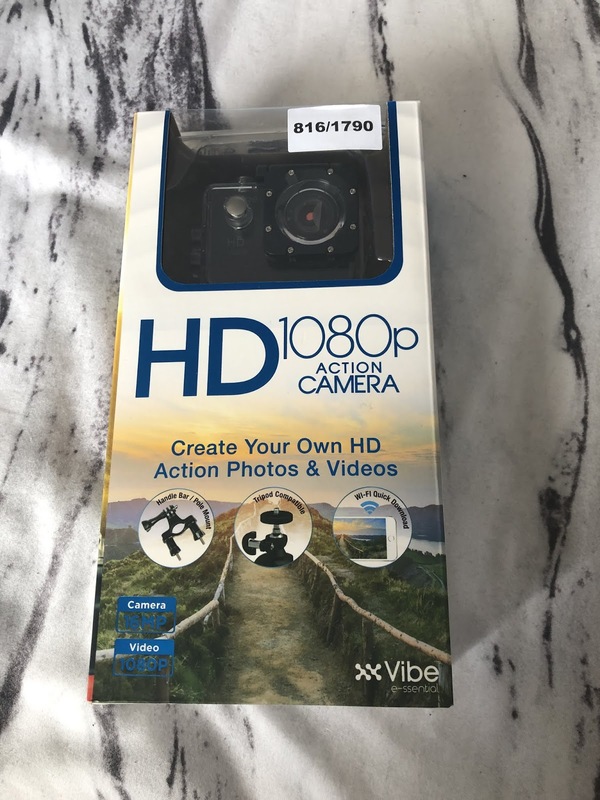 I can't wait to get using this to make my content better. At just £19.99 it is the perfect starter. We only went to the Disney store to get Liam's mum her mothers day present yet I came out with this Dash soft toy for under £5. 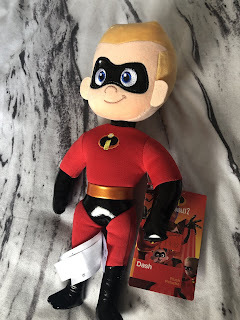 I was obsessed with Dash after watching the first Incredibles, in fact I used to wish I had his pace whilst I was charging around the football pitch (would have come in handy) plus I already had Jack-Jack so why not add Dash to the Disney soft toy collection. As some of you may know I am absolutely obsessed with Stitch so when I saw this bubble blower for £14 in the Disney store I wasn't leaving without this. 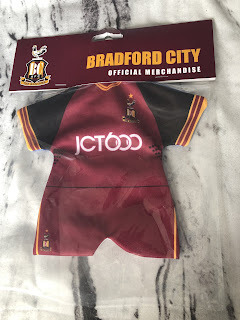 To be honest this is only 50% for me I have also got it to keep at ours for the nephew but I don't know who is going to love it more me or him. This is going to be perfect for any BBQ's we might have. 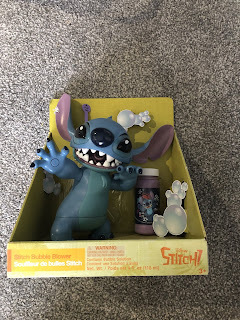 Carrying on with the Stitch theme the family has also been keeping well stocked. 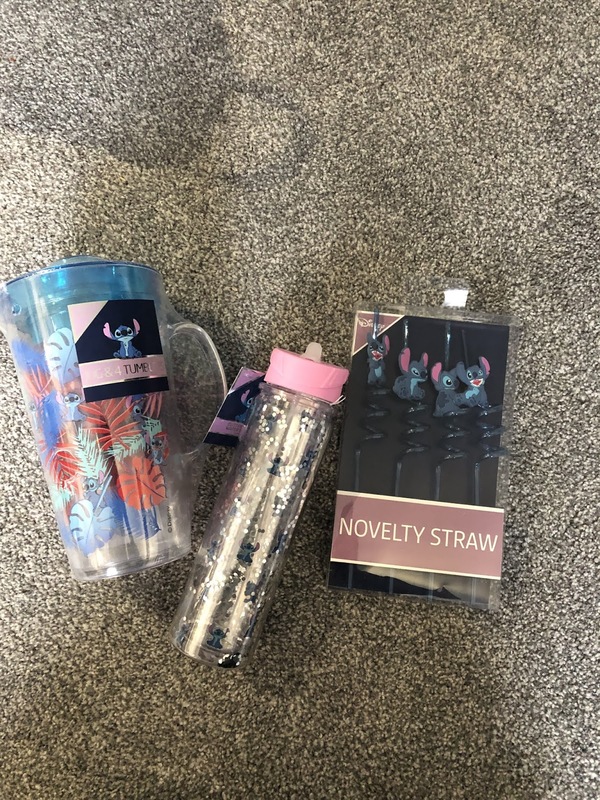 The Primark Stitch range is killing it right now so they got me a new water bottle, some novelty straws and this jug and tumbler set. The jug and tumblers are also going to be perfect for when we are out in the garden. My nanna also picked up these star wars mugs for us and I love them, although they are absolutely huge. 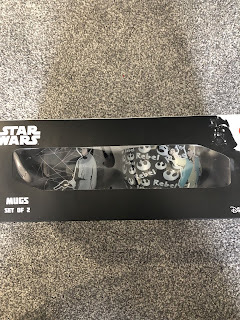 Did we need new mugs? Definitely not, but I am so glad we did. 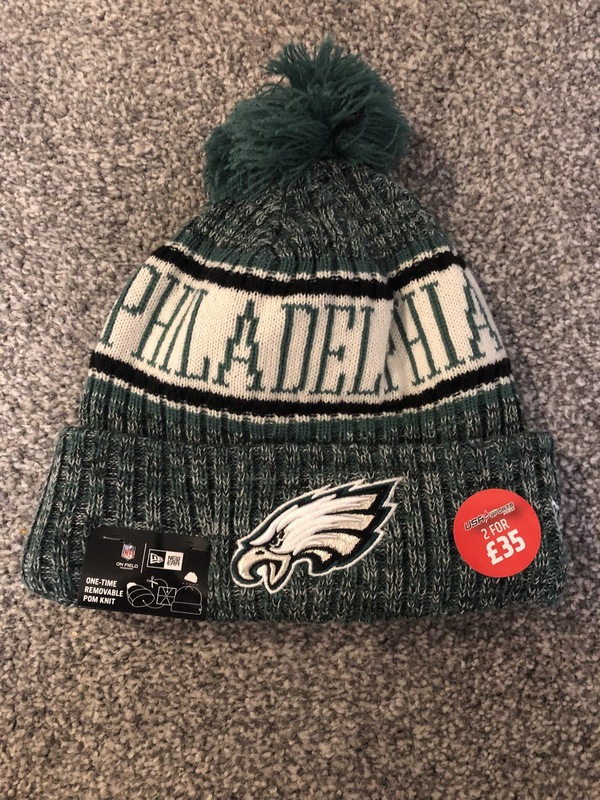 I also finally found a Philadelphia Eagles hat and it is about time. 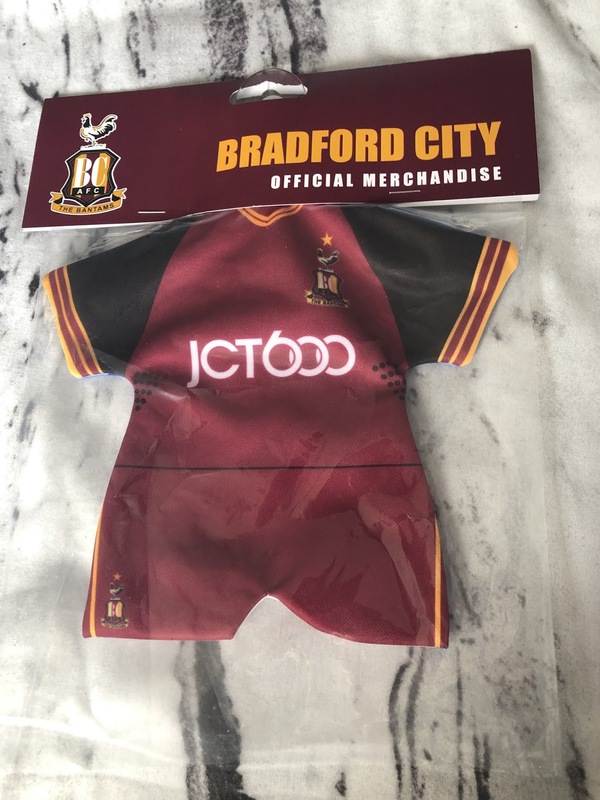 Liam has the Patriots version of this and I was so jealous as it is super soft and cosy. So as soon as I saw this I picked it up. 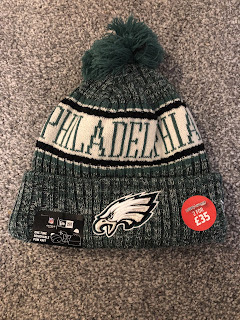 It also means I finally have some Eagles merchandise. 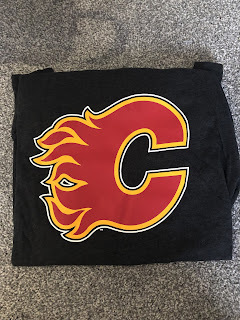 The Eagles hat was on a 2 for £35 offer, so to make the most of it I treated my self to a Calgary Flames t-shirt. I can't quite afford a hockey jersey yet (they are far too expensive) and the flames are my team. I had wanted some flames merchandise for a while but it is so hard to find at a reasonable price here, no way was I passing on this t-shirt. So there you have it, those are my pick ups for the month of March.